NEW YORK—January 19, 2012—Apple® today announced iBooks® 2 for iPad®, featuring iBooks textbooks, an entirely new kind of textbook that’s dynamic, engaging and truly interactive. 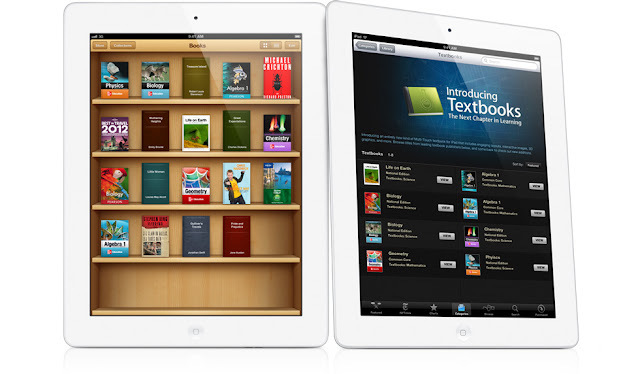 iBooks textbooks offer iPad users gorgeous, fullscreen textbooks with interactive animations, diagrams, photos, videos, unrivaled navigation and much more. iBooks textbooks can be kept up to date, don't weigh down a backpack and never have to be returned. Leading education services companies including Houghton Mifflin Harcourt, McGraw-Hill and Pearson will deliver educational titles on the iBookstore℠ with most priced at $14.99 or less, and with the new iBooks Author, a free authoring tool available today, anyone with a Mac® can create stunning iBooks textbooks.